Are you looking for an e-commerce solution that's ready to meet the needs of your business right out of the box?Pinnacle Cart, a solution trusted by over 35,000 merchants, is designed to meet you where you're at - from the idea stage all the way to generating millions in revenue.Flexible and adaptable, Pinnacle Cart is the only shopping cart software you'll ever need.Customizable all the way from the front end with a variety of themes, to the back end with open source code.You can build your entire website with Pinnacle Cart.Pinnacle Cart is so easy to use, you can have your online store up and running the same day - no complicated programming knowledge required.Pinnacle Cart supports multiple currencies, languages, and payment gateways. Pinnacle Cart also offers unlimited products and categories, inventory tracking, and reporting. Pinnacle Cart offers the user many substantial advantages, including drift marketing support, which targets customers who have added items to the shopping cart and abandoned them before checkout.Generate emails offering promo codes to entice the customer to return and complete the sale.Pinnacle Cart also offers a backup and restore system head and shoulders above its competitors.It's the only hosted shopping cart that allows you to do complete backups.The product update email wizard allows you to quickly create an email with images and details of your latest offering with links for immediate purchase decisions.This simple tool can profoundly impact your bottom line.To help attract new customers, allow Pinnacle Cart to feed your products to popular online shopping venues like Google Merchant and Yahoo Shopping. 1. Multiple themes are available for Pinnacle Cart, and you're never locked into one design.Designs are trendy, colorful, elegant, and eclectic.Constantly pushing the edge on design, themes are available to reflect the originality and distinctiveness of your online store.You can choose any of Pinnacle Cart's free templates, or opt for a custom designed skin from a professional design team. 2. The success of your online store requires optimal ranking on search engines such as Bing, Google and Yahoo.Pinnacle Cart offers cutting edge search engine optimization, including SEO friendly URLs, full header tags, keywords optimized for products, sitemaps, breadcrumbs and more to ensure every opportunity to drive traffic to your online storefront. 3. Exclusive to Pinnacle Cart, connect to Quickbooksto easily transfer the data from your online store to your offline or online Quickbooks accounts.Designed to run effortlessly without requiring user input, connecting to Quickbooks can save a significant amount of time on your monthly and annual accounts. 4. Capitalize on the popularity of Facebook to promote and grow your business.Pinnacle Cart allows you to reach customers anywhere with Facebook eCommerce and mobile commerce storefronts.Manage these fully customizable stores through Pinnacle Cart's control panel. 5. Leverage the power of subscription based billing with Pinnacle Cart's Recurring Billing.Recurring Billing allows you to automatically bill customers at any specified time for any amount - monthly, every three months, or annually - structure the subscription based billing model to suit the needs of your business.This is an ideal solution for store owners offering auto ship functionality or selling memberships.You'll have the flexibility to offer discounted introductory rates, free trials, and other combinations.This works with FirstData and Authorize.net payment gateways. 6. Security is everything when you're selling online.Online customers need to know their sensitive information is protected, and further, the PCI Security Council requires it.Pinnacle Cart is one of just a few e-commerce solutions certified as PA-DSS / PCI compliant.The PCI Security Council and major credit card issuers require that storefronts collecting, storing and transmitting a customer's important financial information must be a compliant payment app like Pinnacle Cart, or additional fees will be levied. Not conforming to PA-DSS / PCI can even cause your merchant account to be cancelled.Further, you can be held liable for security breaches that occur because you usednon-compliant software.Don't put your business at risk.Stay in compliance with Pinnacle Cart. 7. Social media is one of the most powerful advertising mediums available today, and it's free of charge!Pinnacle Cart's social media platform allows your visitors to create a buzz by spreading word-of-mouth advertising about your offerings on the most popular social media sites in the world.The power of Tweets, Likes, Buzzes, and Shares can elevate your business in a matter of hours without any additional cost to you.Just activate this Pinnacle Cart option, sit back, and let the magic happen. 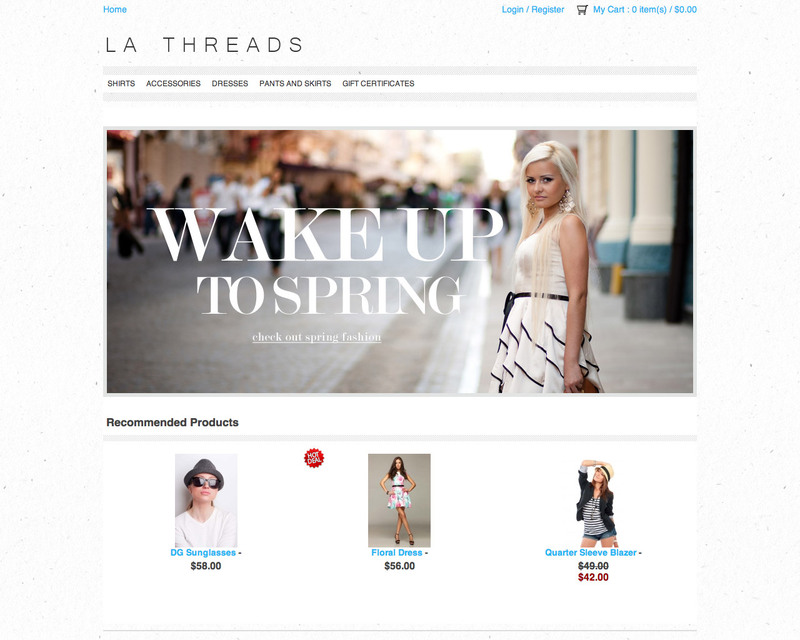 Send product information to other sites, allowing for affiliate off-site sales etc. 10. Make print ads clickable and generate instant sales with QR codes.The innovative new QR code tool allows you to drive sales from even more places when you create a QR code for any product or promotion.Track the QR code's effectiveness directly inside the cart.QR codes make it fast and easy for customers to purchase through their mobile phones, increasing your potential to close the sale. 11. Reach customers wherever they are with Pinnacle Cart Mobile Commerce.The free mobile storefront allows customers to browse and purchase through a mobile enhanced version of your online store.This option is customizable, rich in features, and is designed to boost your sales.The mobile market is a huge and rapidly expanding business opportunity and Pinnacle Cart Mobile Commerce is ideally suited for iPad, iPhone, Blackberry and Android devices.Pinnacle Cart Mobile Commerce is included free with Pinnacle Cart version 3.7.9 and is upgradable with earlier versions. When you choose Pinnacle Cart as your e-commerce shopping cart solution, you'll have access to a nearly limitless variety of customization options.When your business requires a custom installation or customization of Pinnacle Cart, our professional web design company has the skills and product knowledge required to maximize Pinnacle Cart's potential and position your business to break away from the pack.Whether you need a few tweaks or need your website designed or redesigned from the ground up, our experienced team is ready to transform your vision into reality. As an entrepreneur, we recognize that you've got a lot on your plate.Your time is filled with the challenges of management, marketing, planning and strategy, and customer service.With our professional web design company in your corner, we let you focus on what you do best while we do what we do best - constantly improve your website, enhance the user experience, improve your online business's usability, and create the image for your brand that reflects your high quality standards, commitment and vision. Top quality web design must be aesthetically pleasing, with colors, fronts, layout and images that reflect your innovative approach to the online marketplace.You need a layout and structure that is easy to follow, with information that is organized and easy to access.Your web design has to work.It has to entice visitors to come in and look around.We understand what is required to make a website appealing, functional, and easy to use. Digital media has become a central mainstay in people's lives.People rely on the internet for communications, information, social life, and shopping.Our team is creative and technically inclined and understand the needs of business and how to drive traffic to your website.Let us assist you with Pinnacle Cart installation and customization, or any other web design needs you may have.